Created in 1992 in Montreal (Canada), École NAD is a 3D animation and digital design university that has trained over 1500 artists that have gone on to work all over the world. The university offers a master's degree and a bachelor's degree with two specific concentrations: video games and visual effects for film and television. After their first year of learning the various aspects of the creation (modeling, texturing, animation, game design, etc. ), video game students work with Unreal Engine 4 to build real games and levels during the final two years. The graduates have worked in various studios (Ubisoft, WB Games, Square Enix, EA, etc.) helping to ship many games like Assassin’s Creed, Far Cry, Mass Effect, Dragon Age, Batman: Arkham City and Deux Ex: Human Revolution to name a few. Marc-André Houde started his career in animation back in 2003 at Ubisoft Montreal. He has worked on Assassin’s Creed, Splinter Cell: Double Agent, Prince of Persia: The Warrior Within, Thief 4, Batman: Arkham Origins, Deathstroke and many others. He founded creā-ture Studios in 2015 and is currently working at Autodesk as a product designer. Since December 2013, his extensive knowledge of the industry and its inner workings have greatly help the students in the video game concentration in creating incredible projects that can be made within deadlines similar to the 3D industry in their simulation workshop. Jocelyn Benoit has been a professor at École NAD for the past five years. He has a bachelor's degree in software engineering and is completing his PhD in game engine architecture. His skills are primarily focused in video game development, game engine and programming. He is responsible for the game engine course using UE4 in which he introduced the basics of content creation, Blueprints, level editing, lighting, particle systems, and visual effects. Marc Tardif – Marc did a great number of things that impressed his instructors while studying at NAD. However, what made him truly stand out was the creation of a weather control system as well as a day and night cycle in Unreal Engine 4 for his final project. On his website, he writes how he accomplished these two feats using Blueprints in only fifteen weeks. He also covers the problems he encountered while creating these two systems, the parts he wishes to work on eventually, and much of his reference materials. Marc's system have been used and tested by a number of other teams on their final projects. Marc continually improves his tools to be production-ready and usable by artists as needed. The idea behind that project was to have control over the environment (cloud cover, rain amount, wet amount and wind amount – wind direction was not included to keep the project simple) and the type of lighting (daylight or moonlight). More information about Marc's weather system Blueprints can be found at his blog. Who, or rather, what is Miss Daisy? It is the story of a spy going on a special assignment to a small diner in the middle of nowhere called Daisy’s Diner. Things escalate quickly once the spy reaches his destination. This very impressive short film was a final project of a group of students and was recorded entirely in real time using Unreal Engine 4. The students had fifteen weeks to create a synthesis of the skills they had acquired while studying at NAD. For this reason, many students gather in teams to make incredible realizations such as Miss Daisy. They had only one animator for everything, three environment artists and one visual effects artist. The music, the rest of the audio, character conceptions and rigging were made by external artists. Quanta is a tale of a person's mentality split in two: on one side the player can see the consequences of his choices and can therefore act with self-preservation, while the other side lives in the moment with no foresight as a means to instant gratification. The goal is to get the two to merge through the connection of memories. Created for the annual Ubisoft Game Lab Competition and powered by Unreal Engine 4, Quanta won several prizes: "Best Quality" of the 3CS and "Best Art Direction" and ultimately "Best Prototype." It is a wonderful example of collaboration between a team split in two: one half at NAD (artistic and design team) and the other at UQAC (programming team). For ten weeks, the teams would meet on Skype to talk about the prototype: problems encountered, resolutions of said problems, new things to add, what to remove because of the deadline, etc. Communication was the key for the success of this project. 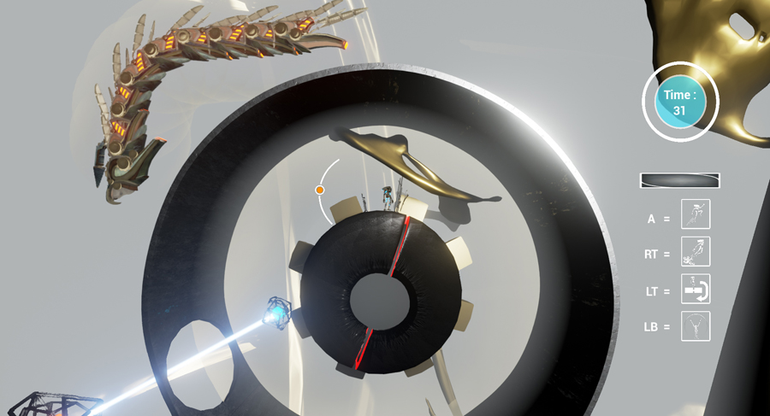 Quanta received an “Highly Commended” nomination at the last Autodesk – GS Student Awards in the “Game of the Year” category. The NAD has been around for almost 25 years. To stay relevant, it's important not to become complacent. The games industry is constantly evolving and changing the rules. 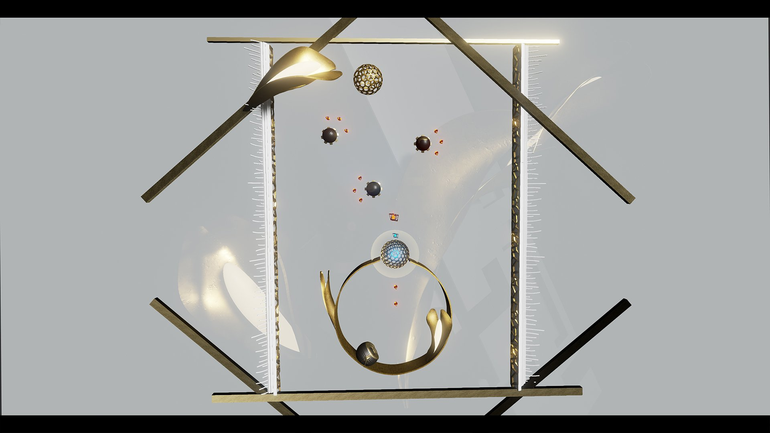 According to the faculty and students, projects like Quanta and Miss Daisy would have been almost impossible to achieve without Unreal Engine 4.